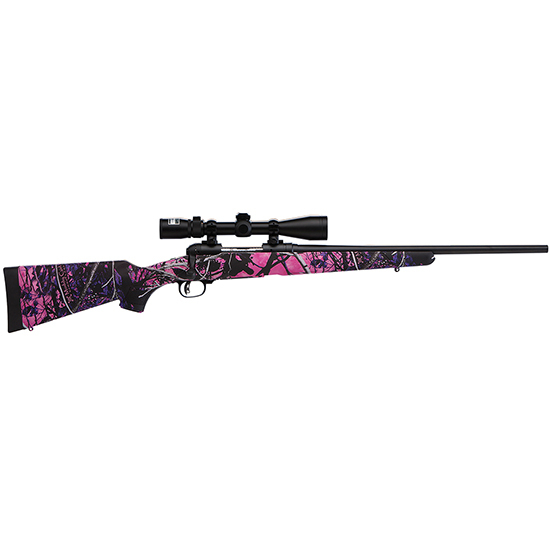 Savage 22208 11 Trophy Hunter XP Youth Bolt 308 Win|7.62 NATO 20 4+1 Synthetic Muddy Girl Stk Black in. The 11 Trophy Hunter XP Youth model features a mounted boresighted Nikon 39x40 scope with a BDC reticle detachable box magazine and a AccuTrigger system. It has a 20 black barrel that is made of carbon steel and a synthetic Muddy Girl Camo stock.This model is chambered in 308 Winchester."